Can 1,000 trees be planted in 1,000 days? 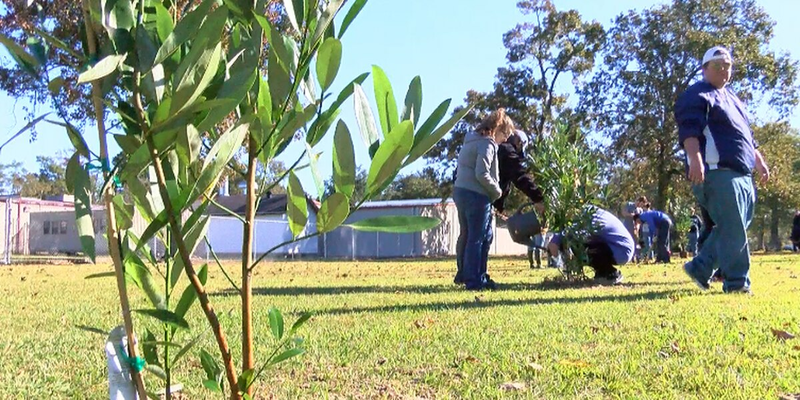 LAKE CHARLES, LA (KPLC) - Well, Sasol, McNeese State University, and 11 other community organizations want to plant these trees, so they teamed up. They formed this program to improve the quality of life in Calcasieu Parish by planting 1,000 trees over the next two to three years. The goal is to encourage community residents to restore local ecosystems and green spaces by planting various indigenous trees in locations across the city. The remaining 800 trees will be planted, starting in the spring of 2017, throughout the Lake Charles area. Locations can be recommended by local residents and will be chosen by the program steering committee over the next two years. A site can be nominated by calling McNeese at 337-475-5691.